MB1000, MB1500, MB2100 Nautilus Hyosung Mainboards (ARM7 & ARM9). Now servicing TDM 100 and SDD dispensers. Call our Certified ATM Repair Center at 800-498-5795 x4 to order your dispenser Advanced Replacement. Once you've received your pre-loaded dispenser, use the pre-paid return shipping label to send your old dispenser to ATMequipment.com. Know that your ATM is completely up-to-date with the latest ADA-compliant software. *Advanced Replacement Mainboard must be the same version of that which is being replaced. 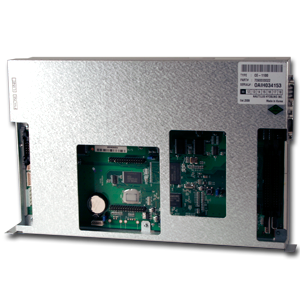 For example, if an ARM9 mainboard is requested, an ARM9 mainboard must be returned to ATMequipment.com. Old mainboards must be returned to ATMequipment.com within 15 days of order. If the wrong version of mainboard is returned or the returned mainboard is not repairable, the customer will be charged the full cost of the advanced mainboard. Prices subject to change. Shipping and handling not included in price. Please contact the Repair Center for addtional information.